At the Hudson County Economic Development Corporation, every day we guide entrepreneurs just like you through the often-complex process of getting the business loan needed to start and grow a successful business. 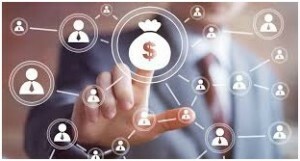 We work with a network of banks and other lenders to help find you the right financing solution to meet the unique needs of your business. Our goal is to empower Hudson County business owners by providing the information they need to make the right decisions to grow. Your success is key to a thriving and growing Hudson economy. · Help determine your business goals and the amount of financing you’ll need to achieve your objectives. · Support you through the loan closing and next steps required. · Identify additional Federal, State and local programs and incentives to support and sustain the business, including but not limited to the recruitment and training of your employees and wage subsidies, energy efficiency incentive programs, business benefits in specialized districts and zones. · Provide access to educational workshops and training in areas where you may need more in-depth assistance, such as business planning, finance, marketing etc. · Facilitate personalized referrals and introductions to partner organizations to insure the perfect match for your special needs. Give us a call at 201-369-4370 and ask for Jack or Michelle to learn more about the “Million Dollar Challenge” and how businesses of all sizes can take advantage of a wide range of loans just right for your needs. The HCEDC is proud to offer this unique program in partnership with the UCEDC, a nonprofit economic development corporation to make sure you achieve your unique business objectives.